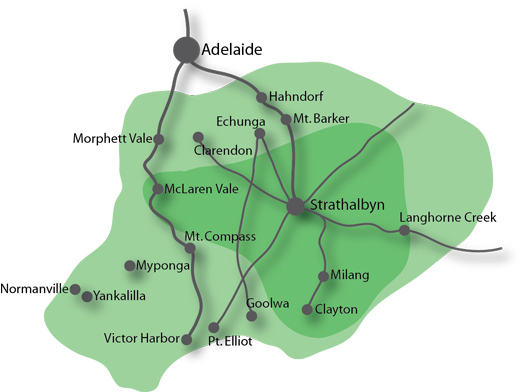 Established in 1864, The Southern Argus, published in Strathalbyn, a rural town steeped in history and the gateway to the tourism mecca of the Fleurieu Peninsula, circulates predominantly in the Alexandrina Council region, along with the Victor Harbour, Mt Barker, Murray Bridge, Onkaparinga and Yankalilla council areas. Having a varied range of lifestyles, stretching from the hills, River Murray and lakes, to the sea, all sports are catered for including thoroughbred, harness and greyhound racing. The area has an ever expanding population with city style development and there is a diversity of industrial and rural economic activity including livestock, viticulture and wine making, cereal cropping, dairy produce and other agriculture production, along with milling and mining.